Food security defined: ‘when all people, at all times have access to sufficient, safe and nutritious food to maintain a healthy and active life.’ World population has experienced continuous growth for almost 700 years and is expected to peak at 9.22 billion in 2075, up from 1.7 billion in 1900 and 6.9 billion in 2011. Growth rates have been falling from over 2.0 percent during the 1960s to around 1.0 % in 2011 and less than 0.5 % is expected by 2050. Food security exists when all people in a population have sustained access to a sufficient quantity of safe and nutritious food to meet dietary needs of a healthy and active lifestyle. Food security is linked to health, education and general security. Among the biggest challenges in achieving food security are trade liberalization of goods, services and capital flows, market access, management and minimization of food waste, growth in productivity of agriculture & mobilizing private sector participation. By 2050 global income levels will be several times higher than they are today and that will have impact on both the quantity and quality of food required. To feed this larger, urban oriented and more affluent population the FAO estimates food production will have to increase by 70 %; cereal production by 40 % and meat production by over 200 %. It’s a challenge but, we believe, it is achievable. What can we do for your organization to build capacity and enhance your management of food security? ●Review food security policy and strategy at an international, national, industry or enterprise level. ● Prepare a ‘living’ national food security development plan and help with implementation. ● Identify benchmark performance indicators for food security and effective response. ● Identify binding constraints to food security and effective responses. ● Examine investment patterns and incentives for improving productive capacity in your food supply chain(s). ● Examine value chain efficiency and identify productivity improvement options. ● Identify Public-Private Partnership options for improved performance. ● Improve productive capacity to deliver high quality food at lowest cost. ● Helped prepare National Development Plans for developing and less developed countries with focus on food security. 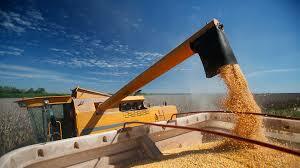 ● Examined cross-country, time series of capital investment in agricultural and food manufacturing industries. ● Presentations to World Risk Congress on food security.